Arthur Henry Young (1866-1943) - known to the world as Art - was the most widely recognized and beloved cartoonist of the golden age of American radicalism. Spanning the Age of Monopoly (1877-1929) his images gave a visual design and humorous edge to a rising wave of socialist, labor and anti-capitalist mass movements (along with more than one terrorist conspiracy). Together they organized to oppose the unchecked power of monopoly capitalism, Wall Street finance and militant nationalism. Artist and activist, Art Young's work records his direct involvement in the political struggles that shaped his age. His career stretches between his jailhouse portraits of the Haymarket Anarchists, drawn just days before their execution in 1887, to a Fourth of July picnic in 1918 with John Reed at the home of Eugene V. Debs, just a few days before his arrest for giving an anti-war speech. 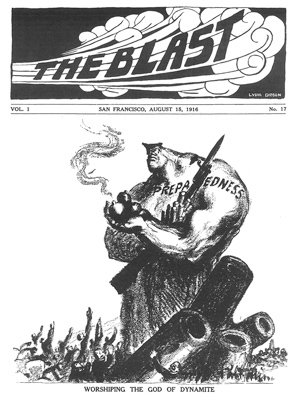 Nearly unique in the history of political cartooning and the American Left, as an artist Art Young was capable of leading a mass anti-capitalist movement while also reaching deep into the mainstream of American media. Rarely have visual artists played such a prominent role in political organizing as they did in the Haymarket Generation. Young stood at the center of a large community of cartoonists, working class artists and bohemian modernists who forged a distinctive style of revolutionary art for the new century. ‘‘The true art of the untrammeled cartoonist is now being developed," wrote Debs in 1912, "and he will be one of the most inspiring factors in the propaganda of the revolution." As Debs insisted: "Cartooning capitalism is far more inspiring than capitalistic cartooning." As the cartoon editor of The Masses and The Liberator, as well as his own Red Scare era magazine Good Morning, Art worked closely with many of the 20th century's greatest artist, including John Sloan, Stuart Davis, Boardman Robinson, William Gropper, Maurice Becker, and Robert Minor. But Art Young published everywhere. In newspapers next to the work of Thomas Nast or liberal magazines like Life or The Nation. He drew images for Socialist papers alongside artist like Walter Crane and Ryan Walker. He drew cartoons for the vibrant pages of the Wobbly press, next to cartoons by Ralph Chaplin, Ernest Rebie, Joe Hill and pictures sent in by unnamed "fellow workers." For his troubles, Art Young was sued, censored, banned from the mail, and nearly spent decades in prison, narrowly escaping in two federal trials for sedition and conspiracy in 1918. Today much of the history of American radicalism, including the work of Art Young, languishes in obscurity just when it is needed most. 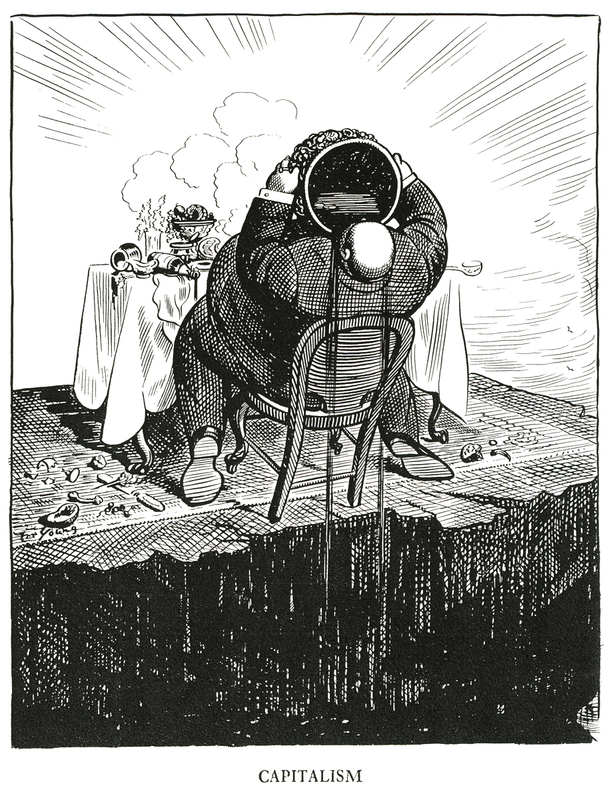 CartooningCapitalism.com seeks to collect the cartoon art from the Haymarket Generation, highlighting their contributions to the history of American Radicalism, Civil Liberties, Socialism, and Progressive reform. YOU CAN ALSO MOVE FROM GALLERY TO GALLERY BY CLICKING ON LINKS TO LEFT. "Cartooning Capitalism" is collected, curated and written by Michael Cohen.